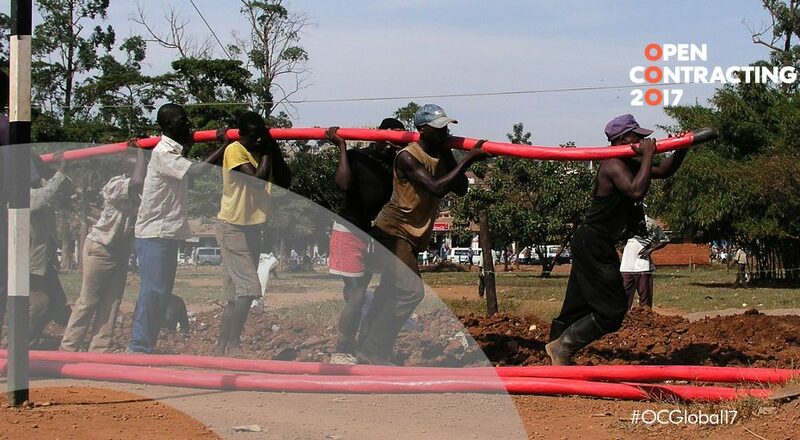 Open contracting in Uganda as a model for Africa? An entry in our blog series exploring transparency, tools, and transformation in open contracting ahead of the global meeting Open Contracting 2017. The recognition that disclosure and citizen participation in public contracting are essential for enhancing value for money, improving services, promoting fair business practices and building trust is relatively new in Africa. This year, Uganda began to publish procurement data aligned to the Open Contracting Data Standard. We believe that this case will set an example for other African governments to venture out on the journey for a more open, transparent and accountable public procurement system together with civil society. With the Open Contracting 2017 meeting a few weeks away, it is my great pleasure to share the experience of the Africa Freedom of Information Centre (AFIC) in pushing for open contracting in Africa. Collaboration has been a crucial element of this achievement from the very beginning. Since 2011, the Ugandan government has been working with us and the Uganda Contracts Monitoring Coalition (UCMC) to promote value for money in public procurement through monitoring of contracts. The need for open contracting in Uganda was apparent. The country’s public procurement authority, the Uganda Public Procurement and Disposal of Public Assets Authority (PPDA), is an inclusive and transparent organization that actively promotes citizen monitoring of contracts. However, this approach is not replicated in other government agencies. Gaining access to procurement and contract information has been difficult, and depended on the goodwill and attitude of individual agencies. In some cases, we used the Access to Information Act to request this information, but many agencies were not responsive. In other cases, we attempted to negotiate Memoranda of Understanding with individual institutions, but still, access remained a challenge. This lack of access led AFIC to design and implement an advocacy campaign for open contracting. Our approach involved understanding the problem, planning engagements, collaborating on solutions and mobilizing/strengthening capacity. 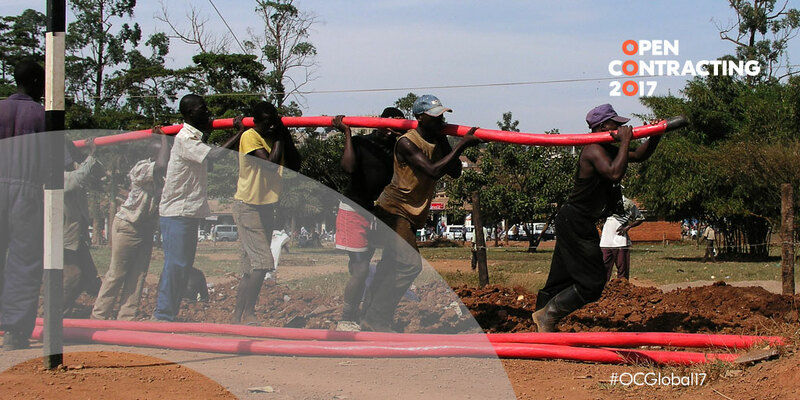 In 2014, Uganda developed a Government Procurement Portal (GPP) to publish contract information online. After the challenges we’d faced accessing information through ad-hoc requests, AFIC sought to use information published on the GPP. It was another hurdle. Procurement processes lacked unique identifiers that would allow us to track them through different stages of the cycle, while the scope of disclosure and data formats also presented challenges. Using the Open Contracting Data Standard mapping template and with technical assistance from the Open Contracting Partnership (OCP) and OCDS helpdesk, together with our friends at Nigeria’s Public-Private Development Center (PPDC), AFIC conducted a mini-mapping of the GPP based on the Open Contracting Data Standard. This was done to determine the level of disclosure and how the portal could be improved to enable better monitoring by civil society. In 2016, we presented our preliminary findings to the PPDA, who welcomed our initiative and noted that AFIC was the first organization to provide feedback on the portal since it was launched two years earlier. They encouraged us to carry out a full mapping of the GPP and provide recommendations. When we submitted the results of our full mapping, PPDA resolved to implement over 70% of the recommendations that could technically be accommodated by the design of the portal. We helped the PPDA secure funding for the work to align the GPP to the ODCS, which has now been completed. Public officials are now being trained on the new portal. They come from local governments in districts where we have projects on social accountability and community monitors who track public contracts. They receive training on the concept of open contracting as a way to provide information on public procurement to citizens for transparency and accountability purposes and on the technical aspects of entering and managing data in the portal. The training sessions have helped the public servants to recognize the benefits of the GPP and open contracting, such as enhancing the efficiency of public procurement and value for money for the government, boosting private sector confidence in the system and enabling citizens to know what the government is doing and procuring. At AFIC, we’ve started to analyze data available on the GPP about procurement plans and contracts, and are working with the PPDA to address potential red flags, such as discrepancies between plans and awards, suspected fraud, unreasonable contract sums, and a high preference for restrictive bidding. Our experience in Uganda allowed us to identify some good practices for engaging with public entities constructively. Be clear on your advocacy goals and how it will benefit the agency. We demonstrated that current levels of disclosure were not empowering civil society monitoring, which was a key objective in the PPDA’s strategic plan. Having more eyes on public projects through citizen monitors across the country could also ease some of the burden on public servants to ensure the government’s money is being spent as it should. Identify the problem. We were specific and clear about the challenges with the existing disclosure regime (i.e. the inability to track processes through the entire contracting cycle) and explained why it was important to improve the system. Suggest solutions. Linking our recommendations to global standards was helpful and provided more weight. Be part of the solution. Mobilising the OCP and its helpdesk, as well as raising funds to hire a consultant to align the portal to OCDS, were essential to our success. In Uganda, we’re now dedicating our attention to increasing use of disclosed data, sustaining disclosure and strengthening the engagement between civil society organizations, procurement entities, and the PPDA. We’ll be addressing some of the gaps in data needed for citizen monitoring, and drawing on data available on the GPP to populate Budeshi.ug – a platform adapted from a tool to monitor the implementation of service delivery projects in Nigeria. Budeshi will be used to identify red flags in the contracting process and check the accuracy of data disseminated by procuring entities against monitoring of contract implementation on the ground. We will support targeted monitoring of contracts by the Uganda Contracts Monitoring Coalition, prioritizing the 19 public agencies that spend the most through public contracting, including those responsible for finance, health, education, agriculture, roads, and the environment. We’ll also be building the capacities of citizens and businesses to effectively monitor contracts at the district level. To help civil society monitors, we’ve developed a methodology for monitoring contracts across the whole cycle of public contracting. It also outlines strategies for engaging key audiences and messages for the various stakeholders based on the findings and recommendations generated so far. On the public sector side, we will continue to collaborate with the PPDA to strengthen disclosure, while monitoring the implementation of our recommendations and those of other CSOs to public entities. Finally, we will continue to call on the government to make amendments to procurement legislation (the PPDA Act) to entrench open contracting. We’ve drawn on the lessons from our experience in Uganda to advocate for open contracting in other countries and at the regional level. In 2016, AFIC established a region-wide Working Group on open contracting. In addition to Uganda, the working group has developed action plans to advance open contracting in Ghana, Kenya, Malawi, Nigeria, and South Africa. AFIC will also continue to monitor and support the realization of open contracting commitments through Open Government Partnership National Action Plans, like those made by Kenya, Liberia, Ghana, Sierra Leone, and Nigeria so far, as well as those on improving access to procurement-related information as in Malawi, Tunisia, and Ivory Coast. As recently as April 2015, no African country had committed to open public contracts in their Open Government Partnership National Action Plans, so these new commitments are an encouraging step towards promoting integrity in public procurement through citizen engagement across the region. The more we see open contracting in Africa, the greater the opportunities will be for efficient procurement management, harmonization of systems across countries and achieving value for money on public projects and services. The direct impact will be better services delivered to citizens.